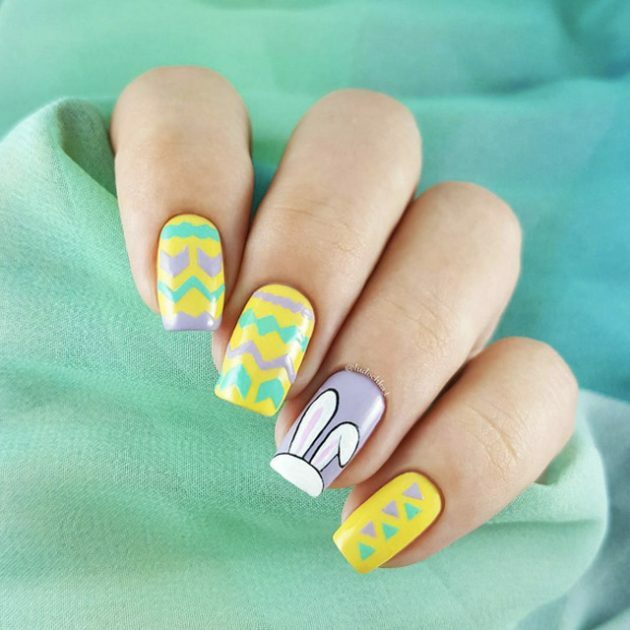 If you love having different nail design all the time, then you probably choose to match it with your outfit or maybe with the trendiest colors of the season. 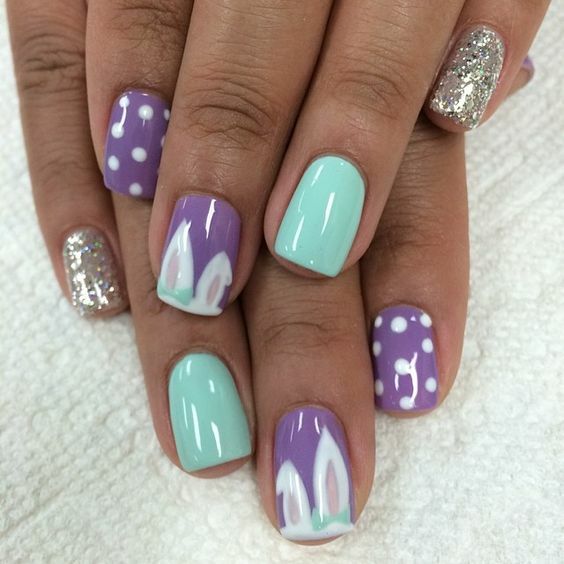 Or you can even choose a holiday theme for your nails. 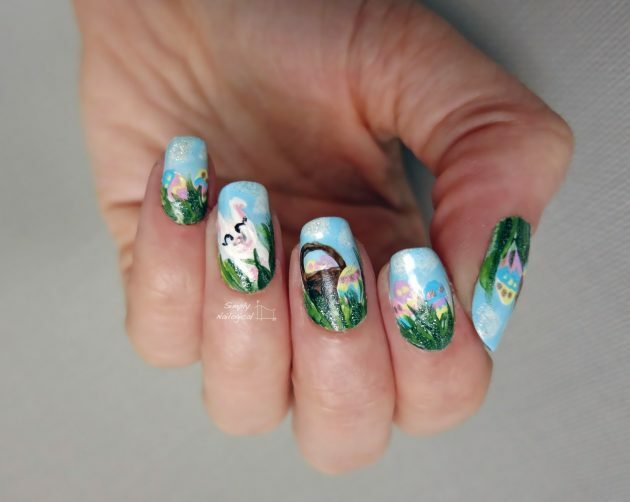 So, since Easter is the next big holiday ahead of us, maybe you can check out some Easter nail designs and try to copy some of them. 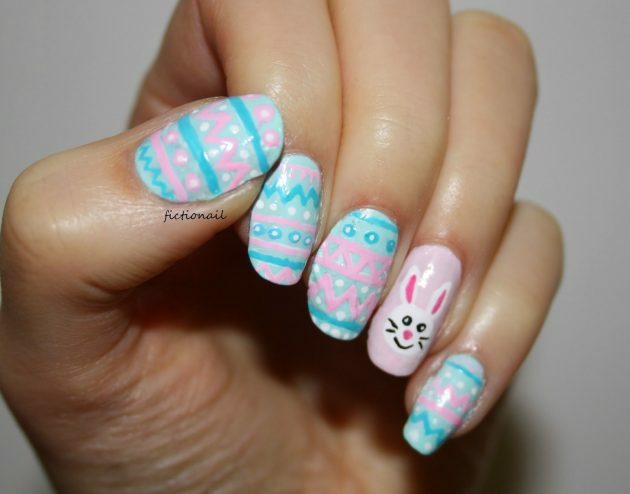 They are quite versatile, including the colors and symbols for Easter. 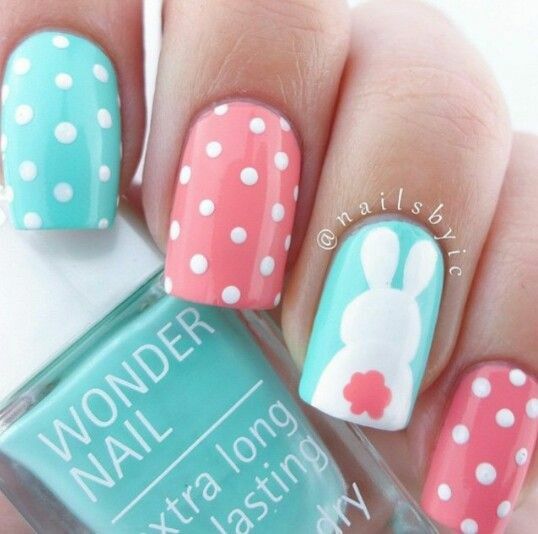 Such colors are the pastel colors which are perfect choice both for Easter and spring time. 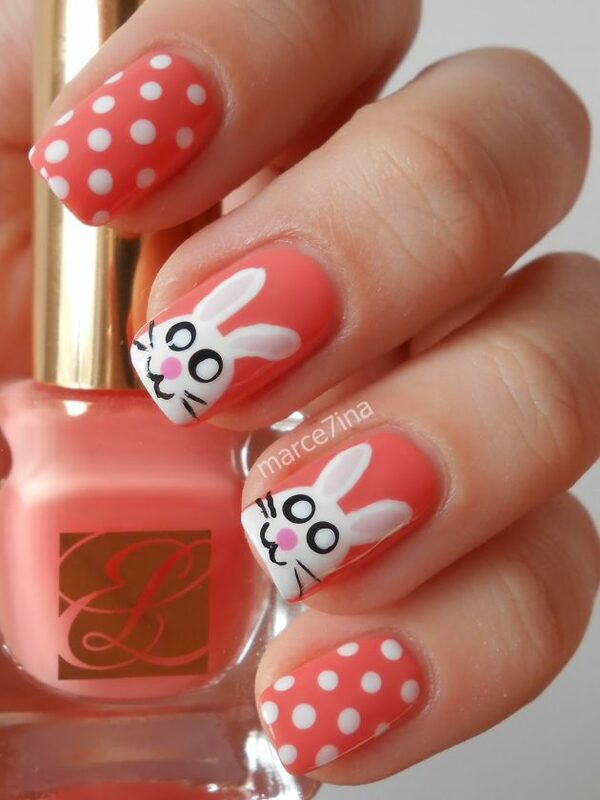 And when it comes to symbols, eggs, bunnies, chicks, carrots, dots etc. 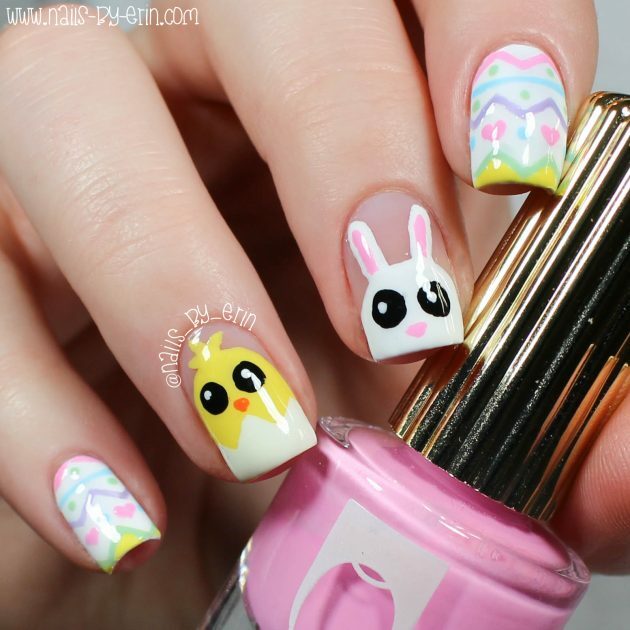 are the most popular ones. 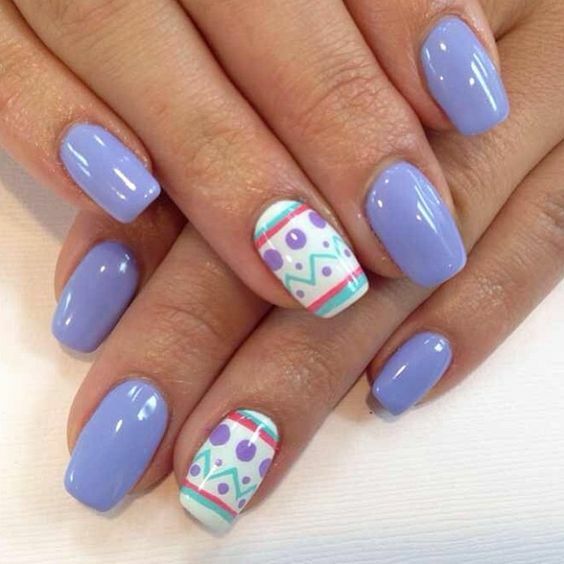 Choose a nail design that features only one of these symbols, or maybe go for a mismatched nail design that consists several of them. 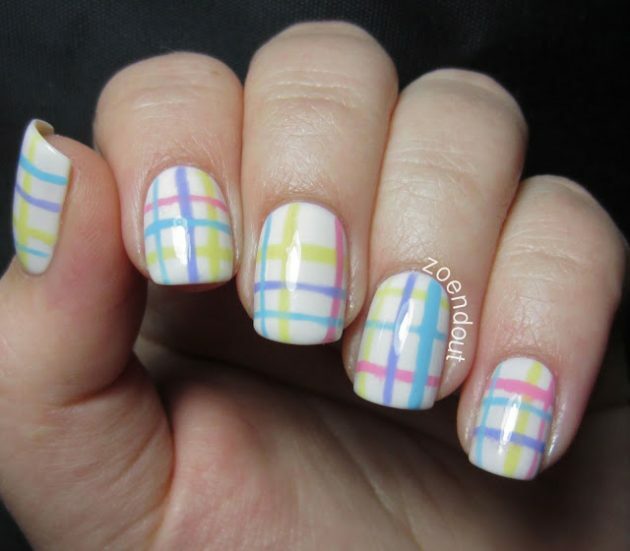 Or if you wish to stick to some simple nail design, you can choose to paint the nails with pastel nail polish colors. 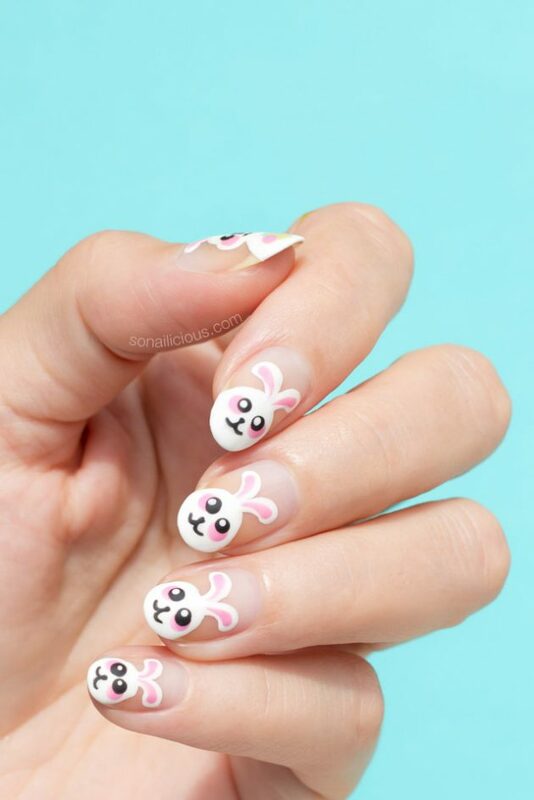 Go ahead now and check out the ideas that we have chosen for you today and choose which one from these Easter nail designs would you try to copy first. 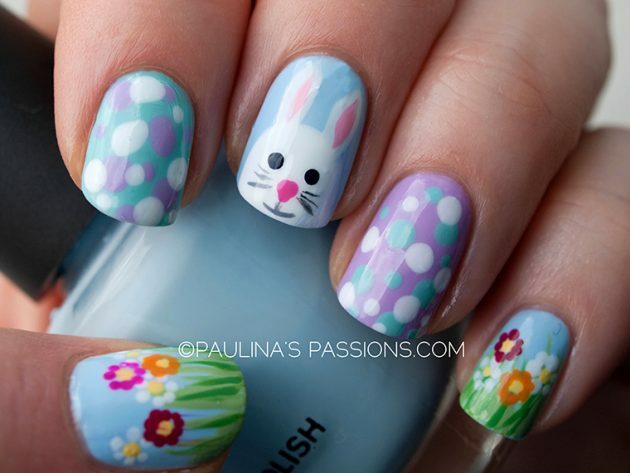 As we have already said bunnies, eggs and chicks are the typical symbols for Easter. 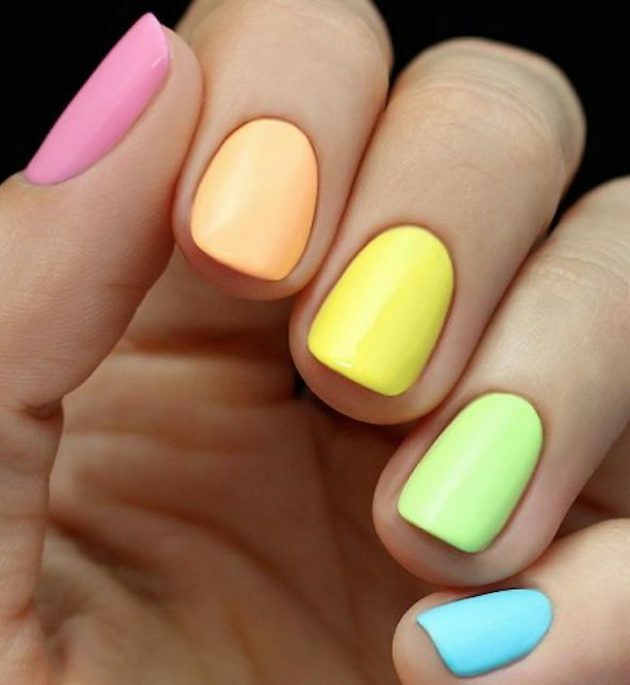 But if you think that you cannot draw some, then feel free to polish your nails with some pastel shades. 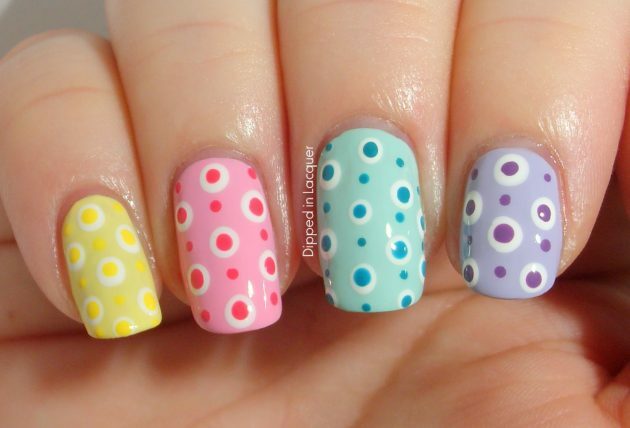 You can even draw some flowers, dots or a plaid pattern with different pastel colors and again be in trend for Easter. 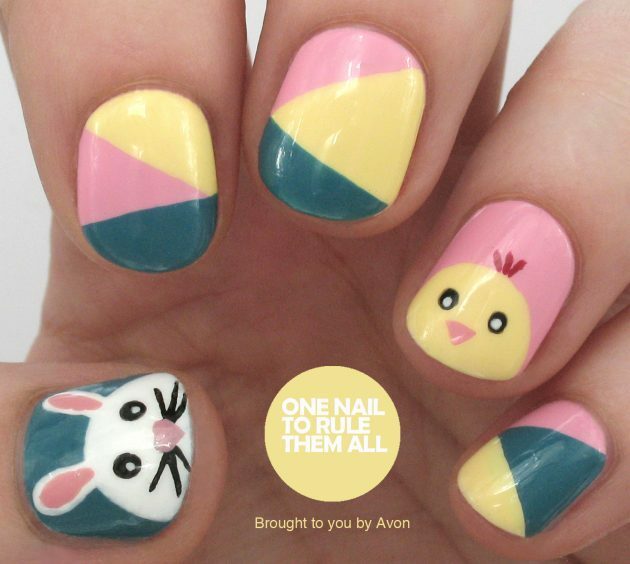 So, which one from the above Easter nail designs did you like the best? 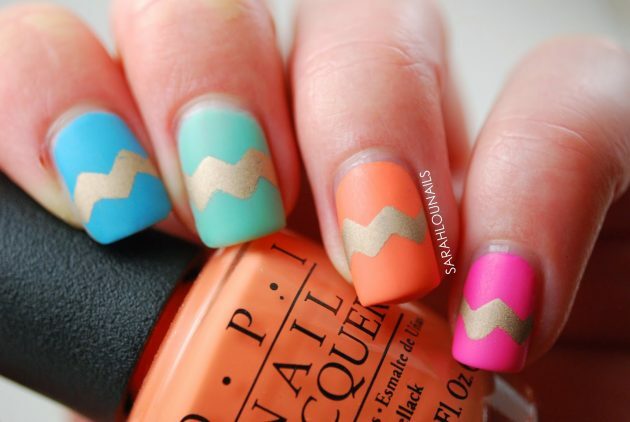 Tell us in the comments and make sure to stay up to date with the content of Fashionsy to find many other nail designs for your inspiration.